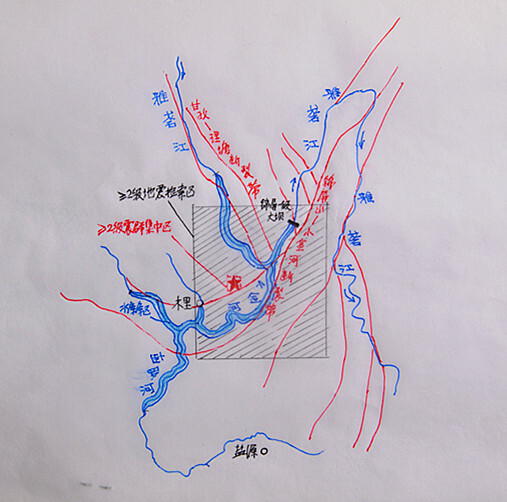 (February 3, 2014) Chinese geologist Fan Xiao investigates once again if the impoundment of a large dam reservoir triggered a series of earthquakes in China’s seismically active southwest region. Based on data collected by China Seismic Information (CSI), Mr. Fan says, ‘Yes’. Not only were the November 22, 2013, seismic events recorded in Sichuan, China, not naturally occurring or isolated incidents, he says the region should prepare for stronger, “even destructive earthquakes” as a result of further impoundment. In this exclusive for Probe International, well-known Chinese geologist Fan Xiao looks at how a series of three seismic events on November 22, 2013, coincided with the rapid and substantial reservoir impoundment over the past year of southwestern China’s Jinping-I Hydropower Station — the world’s tallest arch dam. Mr. Fan believes reservoir-induced-seismicity (RIS), triggered by the impoundment of Jinping-I, was likely behind the recent quakes and could induce stronger earthquakes in the region. RIS is related to the filling and drawdown of reservoirs and the rate at which it happens. 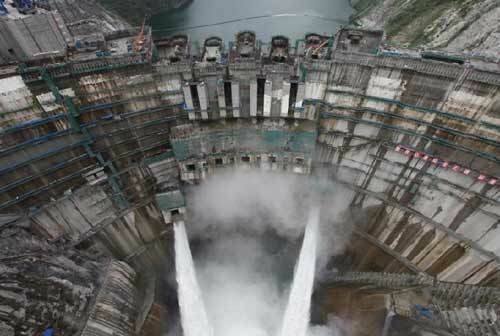 The 305-metre high arch dam of the Jinping I Power Station on Yalong River; Source: Sinohydro. Since the reservoir began filling on October 8, 2012, Jinping’s water level has risen from 1,652 metres to 1,840 metres (above sea level), with an increment of 188 metres — a dramatic rise by comparison to two other mega-dams of note along the upstream stretches of the Yangtze. In a phenomenon known as “reservoir-induced seismicity” (RIS), scientists have observed that large reservoirs built on fault lines can induce earthquakes. The Jinping-I Dam site — located on Sichuan, China’s Yalong River, a tributary of the Yangtze River — is, according to these authors writing in the Bulletin of Engineering Geology and the Environment, principally controlled by the Jinpingshan-Xiaojinhe fault zone, some two kilometres away. But the November 22 events — recorded as magnitude 4.32, 4.58, 3.90 respectively — are not unrelated, reports Mr. Fan. Based on data collected by China Seismic Information (CSI), Mr. Fan reveals that as many as 322 earthquakes ≥ 2M were recorded in the Jinping-I reservoir region between January 1, 2012 and November 30, 2013, including 21 earthquakes ≥ 3M, with a maximum magnitude of up to 4.23M. In fact, earthquakes ≥ 3M repeatedly occurred in the area, he says, with the largest of 4.1M recorded on October 22, 2013. Neither were they randomly distributed, he added, but highly concentrated in an obvious seismic cluster about 25 km northeast of the Jinping-I dam. Mr. Fan notes that the epicenters for this seismic cluster were concentrated in a branch of the Jinpingshan-Xiaojinhe main fault zone on the north side, where it intersects with the northwest-trending Ganzi-Litang fault zone. As such, he says, the seismic events in the seismic cluster are most likely responses to the dramatic impoundment of the Jinping-I reservoir over the past year. Reservoir impoundment may not only increase the risk of strong earthquakes, particularly in areas already vulnerable to high-intensity seismic activity, it also represents a more pronounced risk years after impoundment has occurred rather than immediately following the filling of a reservoir. The reason for this delay is that it takes time for the reservoir water to infiltrate existing fault lines and to affect its greatest impact on the fault or seismic belts. Based on the CSI data, Mr. Fan reports that while all of the 322 earthquakes ≥ 2M occurred after the impoundment of the Jinping-I reservoir, only one of those 322 earthquakes occurred during the first phase of impoundment. Other nearby dams that have undergone substantial impoundment — the Xiangjiaba and Xiluodu on the Jinsha River and the Pubugou on the Dadu River — have also caused earthquakes, said Mr. Fan in his report (see below). Given the seismically risk-prone geology of the Sichuan-Yunnan region, Mr. Fan is calling for an urgent increase in public awareness and improvements to the region’s earthquake disaster preparedness, which should also address the risks posed by secondary geological disasters – the landslides, mountain collapses, mudslides and so on, that result from seismic events. Numerous studies indicate that a deadly 2008 magnitude-8 Wenchuan earthquake in Sichuan province that killed close to 90,000 may have been triggered by the Zipingpu Dam and its reservoir, completed several years earlier. In unstable regions like Sichuan, it is critical to look at how building reservoirs, for example, might affect the local seismology, says Shemin Ge of the University of Colorado in Boulder. Ge and her colleagues suggested that the 2008 quake may have been “hastened” by “tens to hundreds of years” by the Zipingpu reservoir. Building reservoirs in unstable regions like Sichuan, says Ge, might affect the local seismology. The RIS risk doesn’t end with one major quake. A magnitude-7 quake that took place on April 20, 2013, in Lushan County, Sichuan, along the same fault line as the 2008 Wenchuan quake, killed nearly 200 and left thousands injured and homeless. At the time of the April 2013 quake, Fan Xiao opined that the event may have been an aftershock of Sichuan’s deadly magnitude-8 earthquake in 2008 — a tragedy world-famous Chinese artist and outspoken government critic, Ai Weiwei, says politicized him more than any other (see “China’s Dangerous Tofu Projects”). An earlier study published by Probe International also warned that the 130-plus large dams that China is building in its western region, an area of high seismicity, are vulnerable to earthquakes or could induce earthquakes. In a worst-case scenario, dams could collapse creating a tsunami that would wipe out everything in its path, including downstream dams, and cause untold loss of life and property. According to the bulletin maintained and updated by China Seismic Information (CSI), in the period from 3:41 a.m. to 7:58 a.m. on November 22, 2013, a series of three earthquakes were felt in the area where Yanyuan County meets the Muli Tibetan Autonomous County of Liangshan Yi Autonomous Prefecture in Sichuan Province (referred to as “earthquake events 11.22” below). It is noteworthy that the epicenters of all three tremors were located in the reservoir region of the Jinping-I Hydropower Station on the Yalong River (a tributary of the Yangtze River). The timing of these seismic events also coincides with the rapid and substantial impoundment of the Jinping’s reservoir over the past year, during which time the water level rose from 1,652 metres to 1,840 metres (above sea level), with an increment of 188 metres. The one-year rise of the Jinping reservoir breaks previous records for water level increases recorded at the Xiangjiaba and Xiluodu mega-dams on the Jinsha River. In the case of the Xiangjiaba reservoir, for example, the water level rose from 278 metres to 380 metres (a total of 102 metres) from October 2012 to October 2013. The Xiluodu reservoir was filled from 440 metres to 555 metres (a total of 115 metres) from May 2013 to October 2013. Even at the Zipingpu reservoir on the Min River, the largest increment in the water level recorded was only 80 metres in a one year. At a length of 1,571 kilometres, the Yalong River is the largest tributary of the Jinsha River, the main channel of the upper Yangtze. Originating from the Bayankala Mountains in Qinghai Province, the Yalong River flows and crosses the Hengduan Mountains from north to south. But the Yalong takes a sudden and major turn in the Baidiao area, where the Muli and Yanyuan counties intersect in western Sichuan, before continuing its journey south to form a 150-km long big (river) bend that resembles the Chinese character, “几”, or from the Greek alphabet,“Ω”. The big bend in the Yalong River – known as the Jinping Big Bend – is almost identical to the bend of the Jinsha River in the Shigu-Tiger Leaping Gorge area not far to the southwest in Yunnan Province. Peculiar landforms can be seen a result of the huge impact of large faults along the river valleys. From the perspective of geological conditions, the Jinping Big Bend was produced by the northeast-southwest trending Jinpingshan-Xiaojinhe Fault, which extends northeast and links to the Longmenshan Fault Zone. Mountains near the Jinping Big Bend reach as high as 3,800-4,200 metres, while the area’s canyon extends more than 1,000 metres deep. The topography of majestic mountains and steep valleys thus indicates the region’s well-developed faults and vividly active tectonic movement. 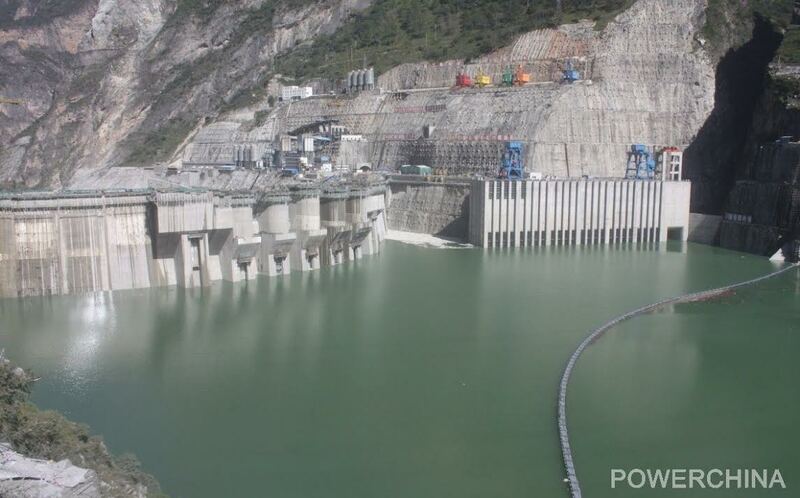 Taking advantage of a drop of more than 330 metres between the two inflection points of the Jinping Big Bend, power companies built the Jinping-I Hydropower Station upstream of the Jinping-II Hydropower Station. With a dam height of 305 metres (above sea level), the Jinping-I is the highest arch dam in the world. Downstream, the Jinping-II Hydropower Station diverts water from the natural river course and forces it through tunnels to the power station. As a matter of fact, the “earthquake events 11.22” referred to above were not naturally occuring or unrelated incidents. My research shows, based on the data provided by CSI, that there were many more seismic events recorded in the Jinping-I reservoir region (with locations ranging from 101.25 – 101.75E to 27.75 ~ 28.25N, defined by the author for the convenience of the study): 322 earthquakes ≥ 2M were recorded in this area between January 1, 2012 and November 30, 2013, including 21 earthquakes ≥ 3M, with a maximum magnitude of up to 4.23M. Both spatially and temporarily, these seismic events were closely related to the impoundment of the Jinping-I Dam. The Jinping Reservoir was filled to 1,840 metres (above sea level) on October 15, 2013; Source: Sinohydro. On October 8, 2012, the Jinping-I reservoir began filling. The reservoir’s water levels rose from 1,652 metres to 1,713 metres (above sea level) by the end of 2012, with a total increase of 61 metres on the completion of the first phase of impoundment; The second phase of impoundment began mid-June 2013. The reservoir was filled to 1,800 metres on July 18, 2013, with a total increase of 87 metres on the completion of the second phase of impoundment; the third phase of impoundment began on September 15, 2013. The water level rose to 1,840 metres on October 15 of 2013 (see image), with a total increase of 40 metres. It is interesting to note that all of the 322 earthquakes ≥ 2M occurred after the impoundment of the reservoir, but only one of those 322 earthquakes occurred during the period of January 2012 to June 2013, namely the first phase of impoundment. However, seismic activity intensified with an explosive increase in the 146 days between July 8 and November 30, 2013, the second phase of impoundment. During this period of time (146 days), seismic events were recorded on as many as 108 days, and the frequency of the earthquakes increased month by month: 18 earthquakes between July 29 and August 29; 60 in September, 105 in October and 111 in November. On a daily basis, the most number of seismic events occurred on November 14, with 16 earthquakes recorded; October 16 came in second with 14 earthquakes, followed by November 22 (12) and November 20 (10) respectively. In fact, before the three quakes designated as “earthquake events 11.22” were noted, earthquakes ≥ 3M had been repeatedly occurring, with the largest of 4.1M recorded on October 22, 2013. The seismic events and the seismic cluster induced as a result of the impoundment of the Jinping-I reservoir. Source: Fan Xiao. It is also interesting to note that the 322 earthquakes ≥ 2 were not randomly distributed but highly concentrated in an area near 101.40E and 27.95N, forming an obvious seismic cluster (see sketch). With the filling of the Jinping-I reservoir, a more than 100-km long reservoir was created, which flooded a portion of the main channel of the Yalong River, part of the Xiaojin River (a tributary of the Yalong River), and part of the Woluo River (a tributary of the Xiaojin River). The centre of the seismic cluster was approximately located in the Zaerwagoutou area of Muli County, about 10 kilometers west of Qiaowa Town, the county seat of Muli, and about 25 km northeast of the Jinping-I dam. Given the geological background of this area, the epicenters for this seismic cluster were concentrated in a branch of the Jinpingshan-Xiaojinhe main fault on the north side, where the northwest-trending Ganzi-Litang intersects with the Jinpingshan-Xiaojinhe Fault in the nearby area (of the seismic cluster). Based on the analysis above, the seismic events in the seismic cluster are most likely responses to the dramatic impoundment of the Jinping-I reservoir over the past year. The Jinping-I reservoir will eventually be filled to 1,880 metres, or its NPL (normal pool level); its total storage capacity will reach 7.76 billion cubic metres at this water level. Given that impoundment of the Jinping-I reservoir has already triggered relatively intensive seismic events in its previous phases, much stronger and even destructive earthquakes can be expected to result from the scheduled increases in impoundment expected in the near future. Stronger quakes are likely because reservoir water will flow along fracture belts and will penetrate deeper and deeper than previously in the initial phases of impoundment. In addition, not far to the south of the Jinping-I Hydropower Station, both the giant Xiangjiaba and Xiluodu dams on the Jinsha River have just experienced substantial impoundment, and both induced seismic activity in their areas. To the north of Jinping-I, the Pubugou Dam on the Dadu River (a tributary of the Yangtze) has been impounded for four years and has also caused earthquakes. Considering the geological context of the seismically risk-prone Sichuan-Yunnan region, earthquake experts in China are very concerned and are carefully monitoring the situation. The need to increase public awareness of seismic disasters, and to improve the region’s earthquake disaster preparedness, especially in the most vulnerable communities at public facilities such as schools, hospitals, and at other key facilities – including power plants, water works and highways – is urgent. Meanwhile, equal priority must be given to the protection of lives and property put at risk by other geological disasters – the landslides, mountain collapses, mudslides and so on, that result from seismic events.